Coinciding with the recent India-visit of Imam- Jamaat Ul Sahih Al Islam International Hadhrat Muhyi-ud-Din Al Khalifatullah Munir Ahmad Azim Saheb (atba) of Mauritius and the respected and honoured members of the holy family, the Siraj Makin- the women’s wing of the Jamaat Ul Sahih Al Islam- in Tamil Nadu, held its special Ijtima at Tenkasi on Saturday, 24 November 2018. Fatima Jasmine Sahiba, Sadr, Siraj Makin-Tamil Nadu presided over the programme, with the proceedings commencing with Tilawat-ul-Qur’an (along with its Tamil translation) by Sherin Banu Sahiba. Two Nazms, written by Hadhrat Khalifatullah (atba) and the Promised Messiah (as), were recited at the function by the Sadr Sahiba and Mujtaba Iynul Misbah respectively. 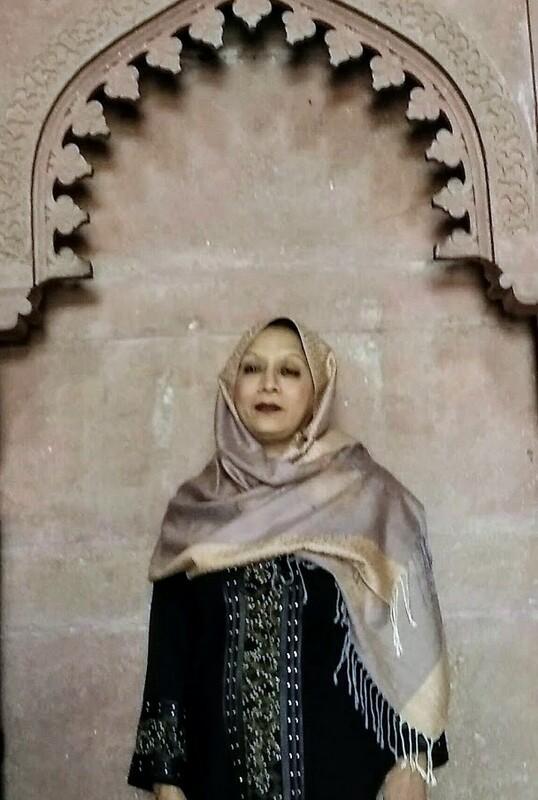 In her Ijtima Opening Speech, the International Sadr of the Siraj Makin Hadhrat Ummul Mu’mineen Fazli Amena Varsally Sahiba spoke on the role of, and tasks before, the believing women in the faith commune, in the Jamaat Ul Sahih Al Islam. Encouraging women believers who integrated in recent times with the Divine Manifestation of this era to recognize and deploy their God-gifted talents and skills to perfect their multiple social roles, the respected International Sadr Sahiba wishes that each one of them/us becomes role models and torch-bearers of the Light of Islam in our every-day life settings. Drawing on sacred spiritual history, Hadhrat Saheba points out that we need to study and gain many insights from the exemplary lives of the great women saints of the past- people who bore all trials and tribulations that came their way with much patience and steadfastness in their exceptional quest for God’s approval and pleasure in all that they did. By performing their varied social tasks with diligence and constancy, prudence and wisdom, women in their varied phases of life- as a daughter, spouse, mother, grand parent; whether working at home or outside the home- can be fine role models of piety and devotion in the Divine Way. The women believers of the Divine Manifestation have a vital role to play in the larger causes of Islam, and they could and should be in the forefront of the spiritual education of their children and also join in implementing the diverse projects and initiatives of the Jamaat at every level, exhorts Hadhrat Saheba in this comprehensive discourse on 'the role of Siraj Makin ladies in the Divine Manifestation of our times'. Assalamu ‘alaykum Wa rahmatullah Wa barakatuhu. It gives me great joy to address you today during this visit to India, and meeting you all for the first time in Tamil Nadu. You need to understand that each one of you has a special place in the Divine Manifestation of this age. Each one of you is special with special talents bestowed upon you by Allah to help advance the cause of Allah in this great land, India, and the world as a whole. You should understand that being ladies of Islam, of the Jamaat Ul Sahih Al Islam in this present age, you need to work hard to enable Islam to reach far and wide and to derive the pleasure of Allah through it all. 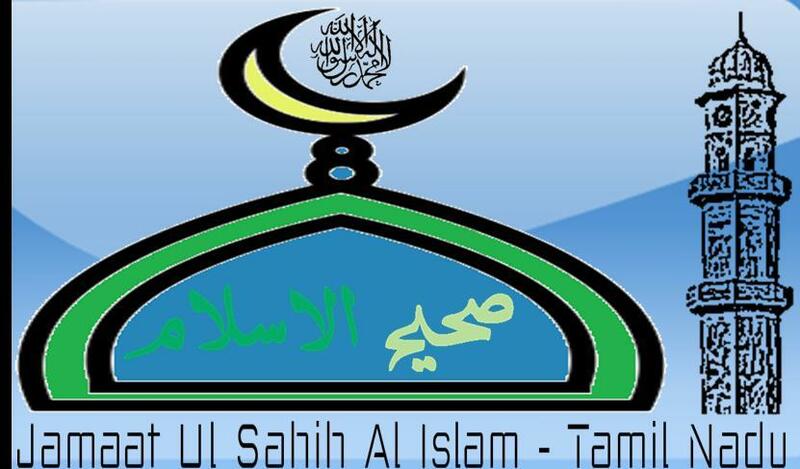 Jamaat Ul Sahih Al Islam International has just published a new book entitled “Light-Giving Moon in Tamil Nadu”. Compiled and edited by Mukarram Naib Amir K. Saleem Saheb of the Tamil Nadu Jamaat, the comprehensive report provides a fascinating glimpse into a range of spiritual interactions, Jamaat programmes, and other humanitarian engagements that took place in the State during the historic visit of Imam- Jamaat Ul Sahih Al Islam Hadhrat Muhyi-ud-Din Al Khalifatullah Munir Ahmad Azim Saheb (atba) of Mauritius and the respected and honoured members of the holy family to India in November-December 2018. The title of the Book “Light-Giving Moon” alludes to a glorious spiritual title vouchsafed to Hadhrat Khalifatullah (atba) in the early days of the Divine Manifestation. In the long, mystical tradition of Islam, ‘Qamaran Munira’ or the “Light-Giving Moon” is a profound spiritual concept, pointing to the exalted spiritual station of the Divine savants who follow, reflect and project the glorious Light of Muhammad (sa) for all humanity in their own times. In the Islamic tradition, perfect followers of the Muhammadan Light are people who aspire to cultivate a direct relationship with one’s Maker and live secluded behind the curtain of Divine intimacy. Such persons are blessed with the direct descent of Divine Knowledge, Divine Revelations, and Divine Words on their persons, and their supplications were/are almost always accepted. Such Divinely-imbued souls are the living exemplars of the Faith and as such, the true spiritual heirs of the Holy Prophet Muhammad (sa). 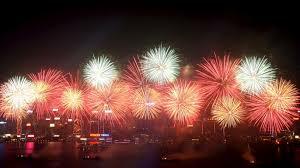 Devout Muslims recognize them as the Pole Star of the Religion and the Way or as the ‘Luminous Moon’ of the Faith. 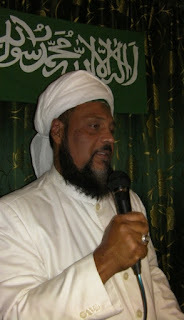 For close to two decades now, Hadhrat Munir Ahmad Azim Saheb (atba) of Mauritius has been blessed with an abundance of Divine communications and spiritual messages, to a level and scale unheard of in the records of the Jamaat-e-Ahmadiyya since the times of the Promised Massih Hadhrat Mirza Ghulam Ahmad (as) in the previous century. Hadhrat Khalifatullah (atba) proclaims that Allah (swt) has bestowed upon him several spiritual titles in this era- Khalifatullah; Mujaddid, Messiah; Muhyi-ud-Din, etc.- and that these spiritual titles point to his Divinely-inspired mission: of reclaiming and revitalizing the enduring message of Tawheed in this new century of the Islamic Era- thereby helping people appreciate the correct spiritual path; strengthening them morally and spiritually in these bewildering times. Like all men of God throughout history, Hadhrat Saheb (atba) preaches Divine Love. Sharing pure Divine messages coming from the Unseen, Hadhrat Saheb (atba) invites people to recognize the advent of his humble self in our midst as an Elect of God and consider the extraordinary possibility of acceding to the Divine countenance in this era as well by following his personal example. 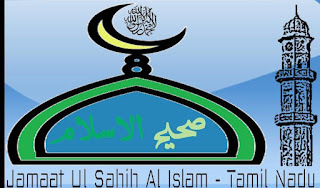 Ever since the time Allah (swt) blessed them with the light of faith to recognize and accept His Messenger of the era and the formal establishment of the Sahih Al Islam community in the State, it has been an earnest wish of the Tamil disciples to meet with the Divinely-inspired and appointed Muhyi-ud-Din of this era. 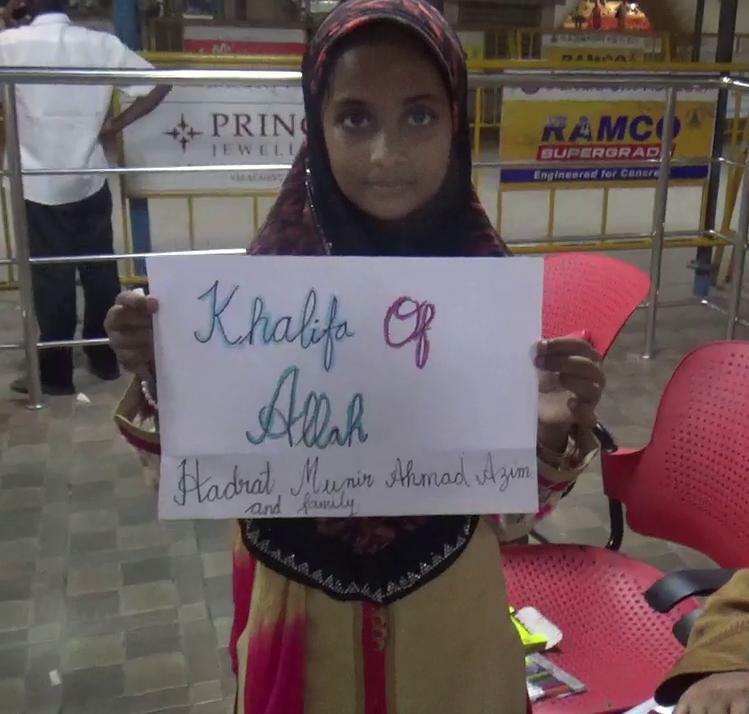 Alhamdulillah, it is this cherished spiritual wish of the sincere believers that has come to fruition with the visit of the Khalifatullah (atba) and the blessed family members. 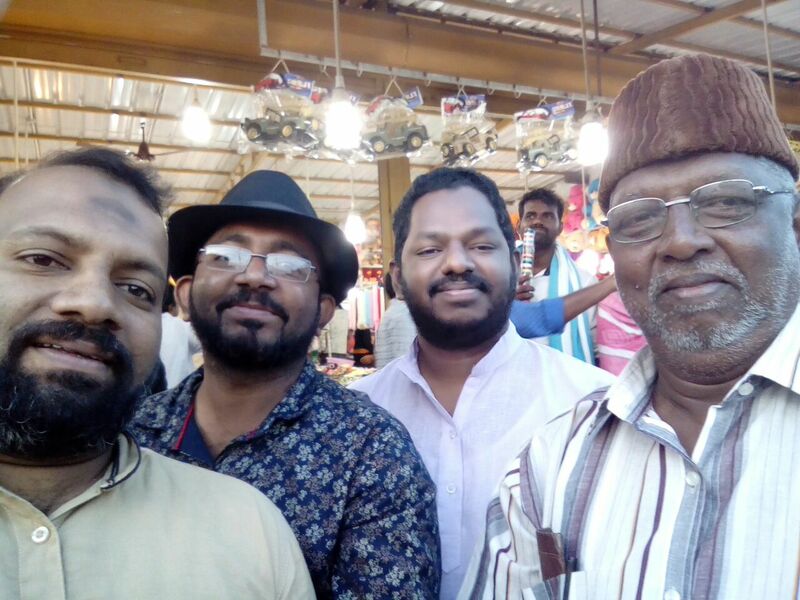 The journey of these blessed messengers took place despite several hurdles-including the devastating Cyclonic Storm Gaja that literally brought the State down on its knees- with the shadow of Divine help and special assistance, making every moment of the two- weeks stay in Tamil Nadu, a spiritually uplifting experience for all those who were in the circle of the Divine Manifestation during those days, Soumma Alhamdulillah. 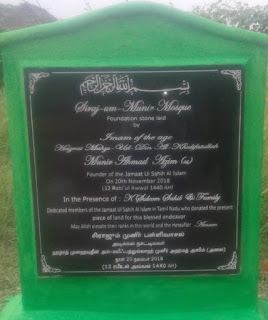 Jamaat Ul Sahih Al Islam-Tamil Nadu (India) recently announced the construction of its first Mosque Complex project in the State, coinciding with the historic visit of Hadhrat Muhyi-ud-Din Al Khalifatullah Munir Ahmad Azim Saheb (atba) of Mauritius and the respected and honoured members of the blessed Household to the south of India- Tamil Nadu & Kerala, November-December 2018. 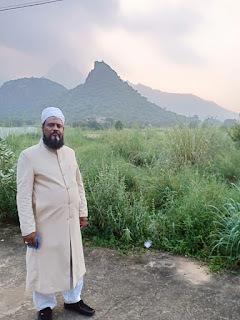 The Siraj-um-Munir Masjid is to come up at a plot of land donated for that specific purpose by our respected and dynamic brother Mukarram Na'ib Amir Saleem Saheb and family, Alhamdulillah. 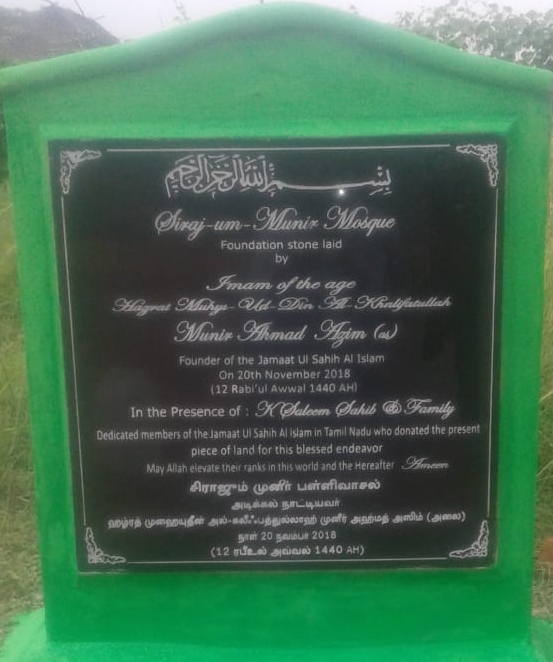 The foundation stone laying prayer for the proposed Masjid complex took place in the presence of Hazrat Khalifatullah (atba) and family in a function of the Tamil Nadu Jamaat on 20 November 2018, Soumma Alhamdulillah. Speaking on the occasion, Hazrat Khalifatullah (atba) celebrated the blessed moment by reminding everyone about the importance of pure intention along with pure belief. In our quest to seek Divine pleasure and to acquire His approval, we need to be mindful of Divine commandments and expectations in all that we do. We also need to display solidarity and demonstrate the spirit of participation with our fellow brethren- men, women and children- in the race for doing righteous deeds in pursuit of shared goals and common objectives, Insha-Allah, Aameen. 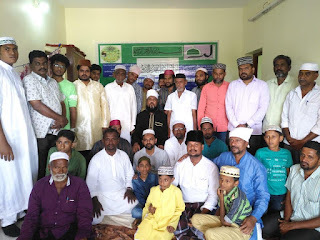 We are reunited here today 20 November 2018 in the month of Rabi’ul Awwal 1440 (fourteen-forty) Hijri [roughly, if I’m not mistaken either the 11 or 12 Rabi’ul Awwal] in the land of Janab Saleem Sahib for a blessed initiative, indeed a great initiative, that of the laying of the foundation stone of our first mosque in the Tamil Nadu State of India. By the immense grace of Allah, Allah has inspired the heart of your brother and his family members to donate a piece of his land for the construction of a mosque, and Insha-Allah, the name of the Mosque shall be: Siraj-um-Munir Mosque. Fortunate are those who have the means and ability, through their sacrifices, all for the sake of Allah to dedicate a part of their properties and wealth for the cause of Allah. It is indeed a lofty (highly approved) initiative in the sight of Allah. For every good deed, there should always be a pure intention, and one of the best deed is the donation of lands and finances also for the construction of the Houses of Allah, i.e. the mosques of Islam. Allah says in the Holy Quran: “There is a mosque whose foundation was laid from the first day on piety; it is more worthy of standing forth (for prayer) therein.” (At-Tawba, 9: 108).